The compact URSA Mini camera with EF lens mount, 4.6K Super 35 sensor and an incredible 15 stops of dynamic range, is lightweight and perfectly balanced for handheld use and comfortable enough for all day shooting. 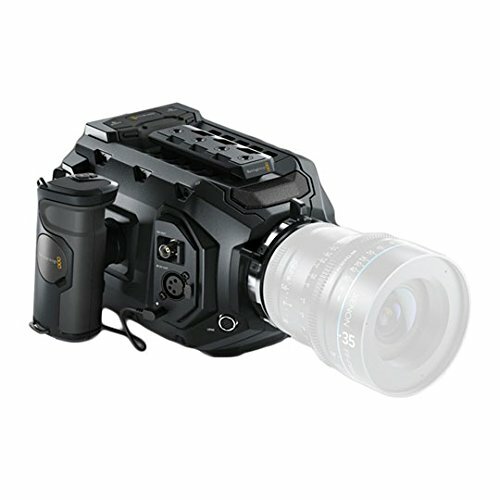 URSA Mini 4.6K EF features professional 12G-SDI connections, 5″ fold out touchscreen monitor and side grip with camera control functions as well as dual CFast card recorders, built in stereo microphones and more. The Schneider Xenon FF-Prime range of lenses are the perfect partner for the 4.6K Sensor.